Common Denominators: connections within and beyond mathematics. A mixture of maths and live music, in which David and Ben will attempt to explore their common denominators. What is mastery, why does it matter, and what are teachers doing where its working well? Liz Meenan, Jennie Golding, David Acheson, Adam McBride, Ben Sparks, Chris Pritchard, Chris Budd, Peter Neumann, Margaret Brown, Sidney Tyrell, Andrew Taylor, Mike McIvor, Fiona Allan, Kevin Lord, Mick Blaylock, Rachael Horsman, Fran Watson, Peter Ransom, Liz Russel, Jeremy Hodgen, Colin Foster, Kathryn Greenhalgh, Gerry Leversha, Noel-Ann Bradshaw, Charlotte Thompson, Julia Smith, Jim Simons, Ems Lords, Stella Dudzic, William Hornsby, Lisa Pollard, Stephen Britton, Chris Sangwin, Darren Macey, Oliver Thompson, Lucy Rycroft-Smith, Nicola Bretscher, Richard Lissaman, Mark Dawes, Joyce Brown, Douglas Butler, Tom Roper, Peter Wright, Pete Sides, Keith Profitt, Lizzie Kimber, Kate Crozier, Jennie Pennant, Robert Barbour, Simon Mazumder, Maths No Problem, Inspire Maths, Graham Griffiths, Jo Lees, Ruth Bull, Rose Griffiths, Sue Gifford, Mel Muldowney, Jo Lees, Pietro Tozzi, Rob Eastaway. Florence Nightingale will be on-hand on the first afternoon to give you a tour of the breath-taking Founder's Building and nearby woodland. She will recount a little of the history of Royal Holloway and Bedford College, explain her interest in mathematics and statistics and tell you about her contribution to education in general. MEI, in conjunction with the MA, will be offering a one-day OCR (MEI) AS/A level Further Mathematics strand of relevance to all on Sunday, 9th April 2017. 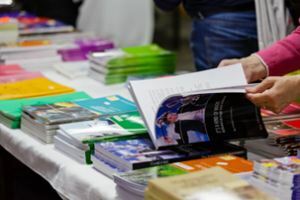 These sessions are incorporated into the main MA Conference programme. MEI sessions are designed to complement each other but will stand alone. 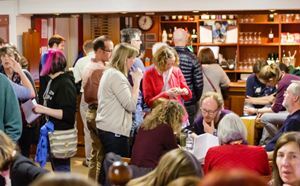 Multiple Delegate Discount of £25 per delegate can ONLY be applied when 4 OR MORE delegates are booked at one time. To take advantage of this option, email the conference team MA office direct. If you want to pay your fee (for amounts of £200 or over) in two instalments each one month apart, email the conference team MA office direct. 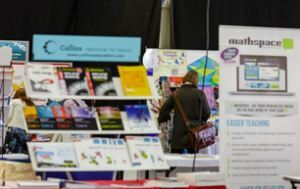 A range of publishers and educational suppliers will be exhibiting on the second and third days.